India is a country of great contradictions, especially when you visit the larger cities where very poor neighborhoods can sometimes be found right outside the gates of the most impressive palaces. Therefore, in order to truly take in the Indian culture, we think it’s important to not only test your bargaining skills at local markets, but also experience a royal night out as a true Maharaja. 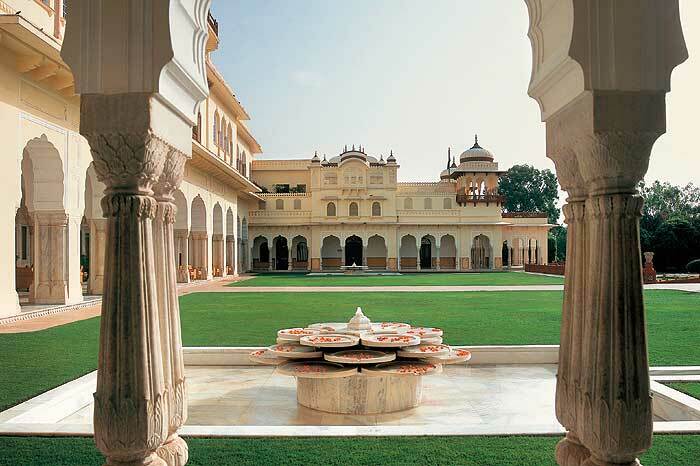 Make reservations at The Verandah, the very best of the Taj Rambagh Palace’s three restaurants. 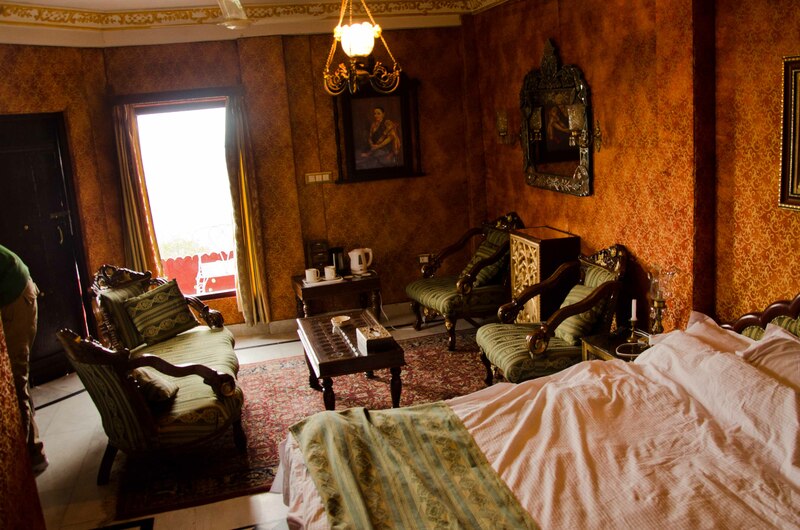 This royal palace was the first to be turned into a heritage hotel in 1957. 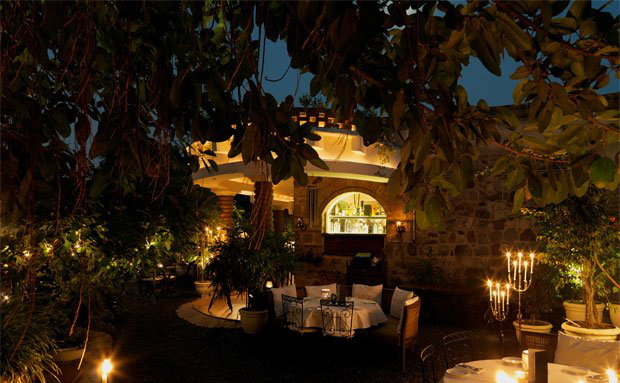 The royal experience starts as soon as you set foot on the hotel’s property. The neatly cut grass is bright green, the building’s royal features are perfectly lit and you are welcomed by the sweet smell of rose petals. Friendly waiters glide through the hallways wearing luxurious silk turbans and robes, smiling non-stop. This is the India of your dreams! Get a table on the grass to be able to admire the palace from the outside. The menu is nice, with a wide selection of international-with-a-twist dishes. Prices are sky-high and bargaining is not an option. But that has never stopped royalty, so why should it stop you? 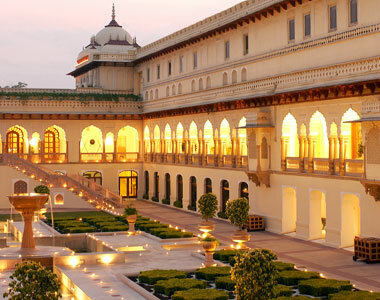 When traveling in India’s Golden Triangle, Jaipur is a city you should definitely pay a visit to. 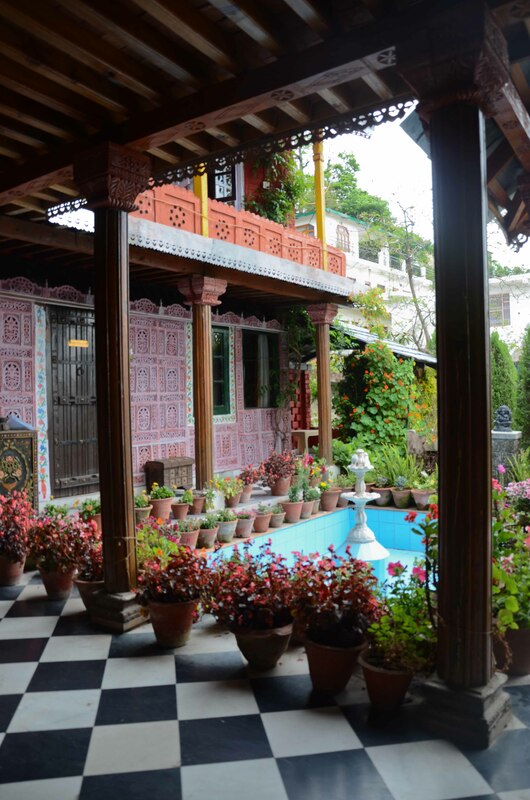 Although this city is famous for its colored gems, when it comes to restaurants, a true hidden gem is hard to find. After eating only spicy Indian rice dishes you just might long for a different taste in a Western setting. 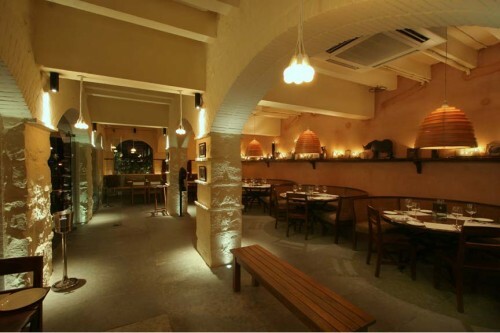 Stepping into Anokhi Café is like a breath of fresh air in this sizzling hot city. 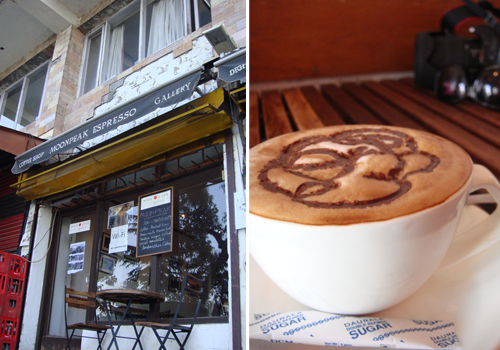 With an all organic menu, easy breezy interior and friendly staff, this café is unique in the area. Most items on the menu consist of locally grown ingredients: fresh breads, cakes, snacks, “safe” salads and light seasonal dishes, everything with a tasty, international flavor. What else is so great about this place? It is part of the Anokhi shop next door, a brand known for traditional Indian clothing, linens and accessories with trendy designs. 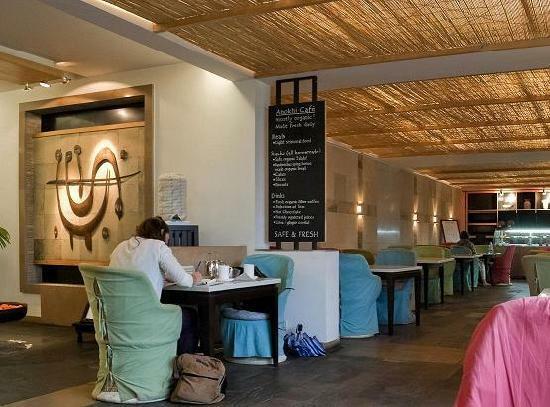 It’s probably the only place in Jaipur without the pushy sales people – perfect for an after-lunch shopping spree.